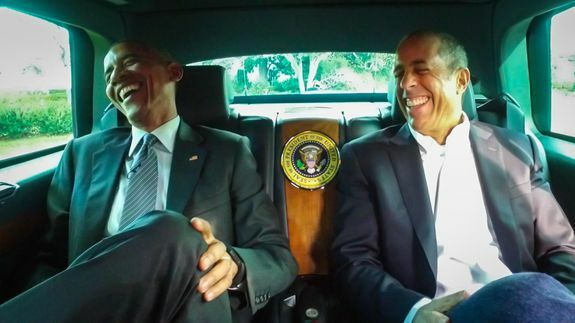 Renowned comedian Barack Obama to appear on Jerry Seinfeld's 'Comedians in Cars Getting Coffee' - trendistic.com: ever tried. ever failed. no matter. try again. fail again. fail better. LOS ANGELES — From Running Wild With Bear Grylls to Marc Maron’s WTF podcast, President Obama is no stranger to guest-starring on popular entertainment broadcasts. Sure, Obama’s not technically a comedian — but he’s definitely one of the bigger names to appear on the show. LAS VEGAS — Never one to hold her tongue, Mariah Carey dropped several truth bombs during a Periscope interview livestreamed to thousands of viewers….